Benchmarking is a way to go backstage and watch another company’s performance from the wings, where all stage tricks and hurried realignments are visible. 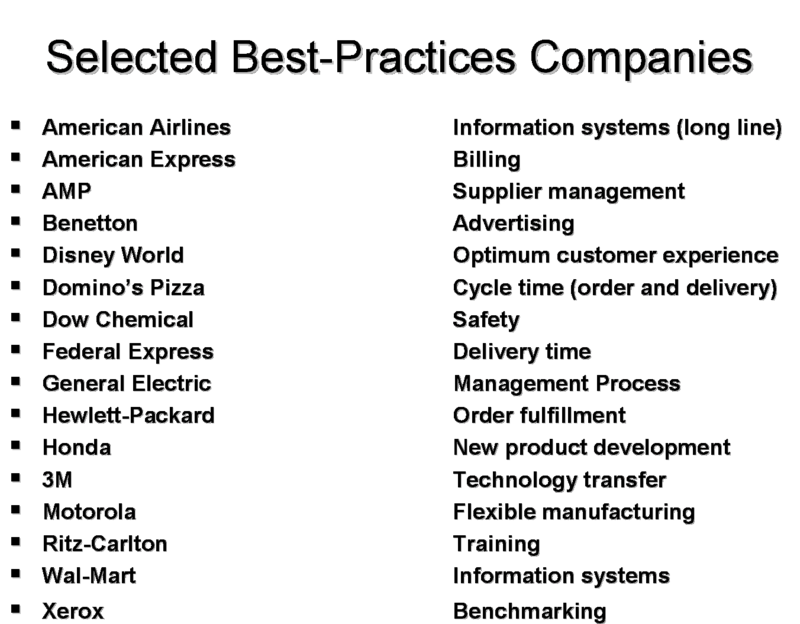 What is that organizations do that gets result so much better than ours? The answer to this question opens door to benchmarking, an approach that is accelerating among many firms that have adopted the total quality management (TQM) philosophy. 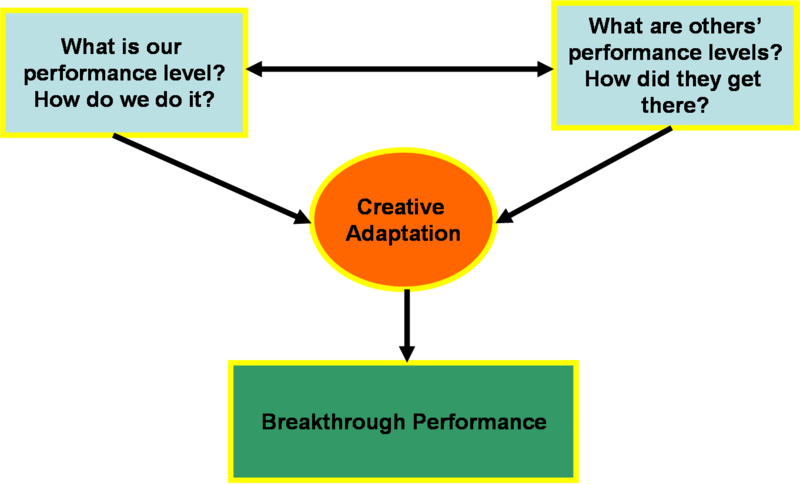 The purpose is to learn how the achieved excellence, and then setting out to match and even surpass it.The justification lies partly in the question: “Why reinvent the wheel if I can learn from someone who has already done it?” However, Benchmarking is not a panacea that can replace all other quality efforts or management processes. The method may have evolved in the early 1950s, when W. Edward Deming taught the Japanese the idea of quality control. Other American management innovations followed. The best example is Toyota Motor Corporation’s following the footsteps of Ford Motor Corporation albeit with the adaptation of the Ford’s Just-in-case system into Toyota’s Just-in-time system. 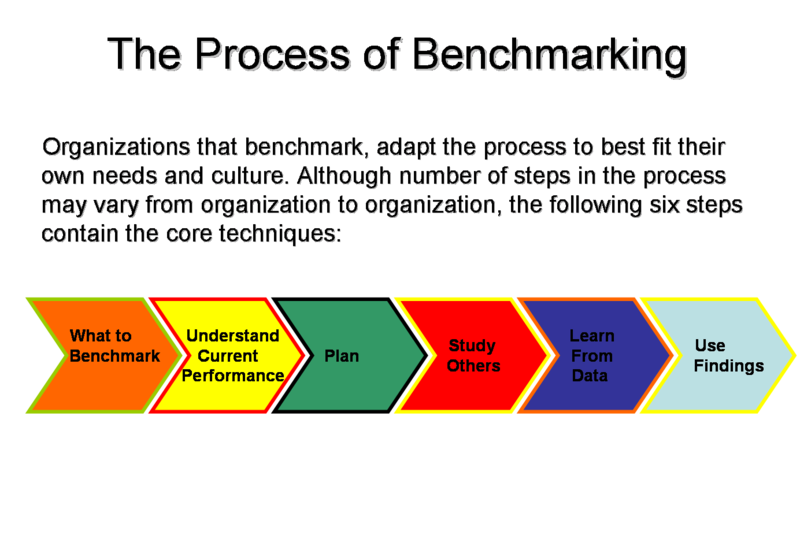 The term “benchmarking,” however, was not coined by that time.